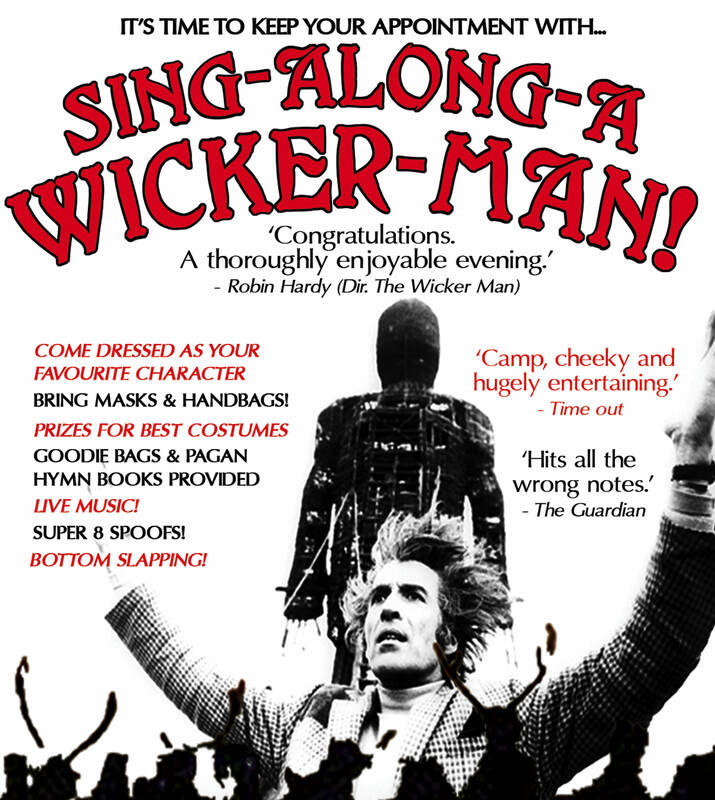 Singalong-a-Wickerman! is a camp Rocky Horror-style cabaret and film night; combining live music, audience participation and Wickerman-themed silliness. Dust down your best Scottish accent, dress up as your favourite character and come join in with the singing, buttock-slapping and dialogue of this horror classic. Your hosts, Dr. Bramwell and Eliza Skelton, will get things warmed up with a little live music, lead you through the actions and lyrics for the songs then – at the Witching Hour – you’ll be given a pagan hymn book and goody bag full of surprises, we’ll roll the film and may god have mercy on your soul.